Tesla [NSDQ:TSLA] on Wednesday announced that all its cars from now will be available with the hardware necessary for full self-driving, i.e. Level 5 autonomy, the ultimate goal where no driver involvement is required whatsoever. The catch is that Tesla doesn’t have the much-more-difficult-to-develop software to control the hardware at Level 5 autonomy just yet, and even if it did the current regulatory environment wouldn’t allow Tesla’s cars to operate in such a manner. In a conference call, Musk said engineers are currently testing the software and could have it ready by as early as the end of 2017. He said by this date he expects a Tesla to be able to travel from Los Angeles to New York “without the need for a single touch” on the steering wheel. However, he also said that the system will only be twice as safe as a human driver, meaning it will be far from perfect. It’s likely the driver will have to be ready to take control at any time, as is the case with the partial self-driving Autopilot system. Despite this, Musk’s confidence, along with many others in the auto industry, suggests that full self-driving cars could be here within years as opposed to decades. 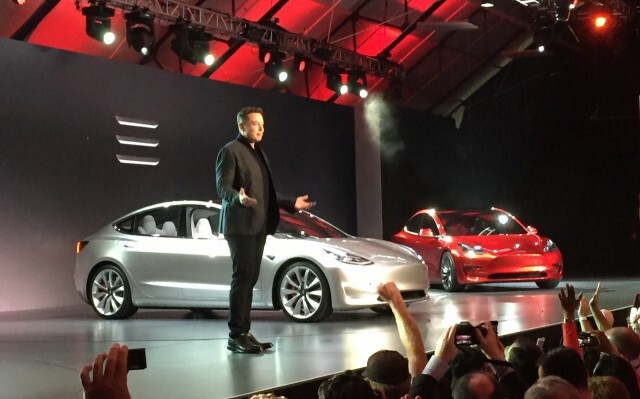 The hardware will be available in a package dubbed Hardware 2 that will cost $8,000, Musk said. It includes eight surround cameras providing a 360 degree view around the car at up to 250 meters of range; 12 ultrasonic sensors to complement the car’s visibility; and a forward-facing radar capable of seeing through heavy rain, fog and dust. The radar can even see beyond a car immediately in front, by bouncing a signal below the car in front. There won’t be a chance to upgrade older Teslas with the new package, though Musk said there will still be updates for existing customers. With so many sensors and cameras, there’s a lot of incoming data that needs to be processed within fractions of a second. The computing power will be handled by Nvidia’s Titan processor, which has around 40 times the computing power of the previous processor used by Tesla. The Titan chip powers Tesla’s own artificial intelligence system called a neural net, which forms a vision of the world around the car using all of the incoming data and then instructs the acceleration, braking and steering to suit. Unlike a human, the system sees in every direction simultaneously and on wavelengths that go far beyond the human senses. Initially, cars with the new hardware won’t be as capable as existing Teslas when it comes to partial self-driving electronic aids, including some standard safety features such as automatic emergency breaking, collision warning, lane holding and active cruise control. This is due to the software to run them still being developed. Once ready, they will be provided via over-the-air software updates, together with a rapidly expanding set of entirely new features. Why make a technology available before it can even be used? With Tesla’s share price down 23 percent (currently at $203.56) since its high in April, the announcement is certainly a handy distraction. Don’t forget, Tesla is burning through hundreds of millions in cash while looking to raise new funding. The company also has a tight deadline to get its hugely popular Model 3 into production by late 2017, as well as its questionable acquisition of SolarCity, another money loser. There was also the death in May of a driver whose Model S crashed into a truck’s trailer while operating under Autopilot. Should Tesla succeed with its self-driving ambitions, the company sees customers eventually being able to earn cash from their cars, by allowing the cars to autonomously offer rides to strangers in return for a small fee. Tesla predicts that this would lower the cost of ownership so that more people could potentially own one of the cars.